After the disappointment that was Octobers box and it's pretty pointless theme of Dark Romance I was relieved to see tweets popping up confirming that this months box was a good one. I already knew one product that was in the box as Glossybox posted a spoiler that you couldn't really avoid if you follow them on social media! I also couldn't resist having a nosey at the blog posts popping up, so I had a good idea about what I might get. So here's what I got in my box. I'll start off with a slight moan! I love receiving lip products but the problem with this one is I received exactly the same product quite recently. Luckily this time I've received a different shade, last time I believe I received a pink shade and this time I've received Cranberry, which is a red shade (darker than shows in the picture). Aside from this being a duplicate product I do really like the look of the colour of this and think it will be a great winter shade. A review will follow in the near future. I haven't personally heard of Emite makeup before so know nothing about the brand. This eye shadow is free from oil, nickel, parabens and fragrance and the pigment is micronized (nope, no idea what that means!) which apparently facilitates application to create an even lasting result. Dams is a light, what I would describe as champagne kind of colour with just a very slight shimmer. I don't tend to use eye shadow very much at the moment but I will try and remember to use this as it looks like a great everyday shade. I do like that this month rather than one tiddly little sample you get three in a little gift bag. 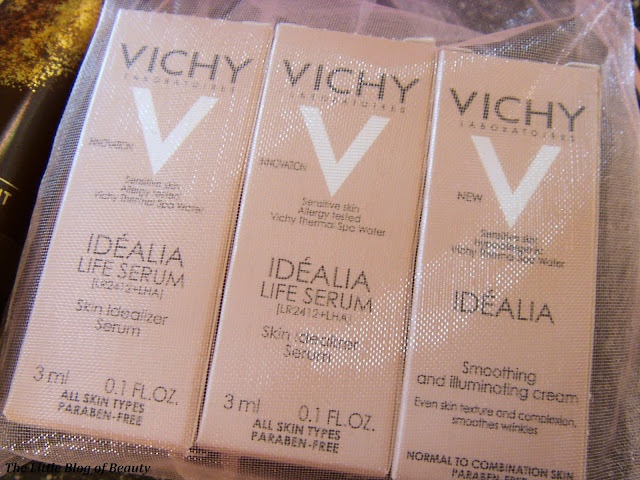 This includes two of Vichy's new Idealia Life Serum and one of their Smoothing and illuminating cream. I've heard good things about the Life Serum and would love to start it now but this will have to wait until I've completed the No7 4 week serum trial that I'm starting on Monday. 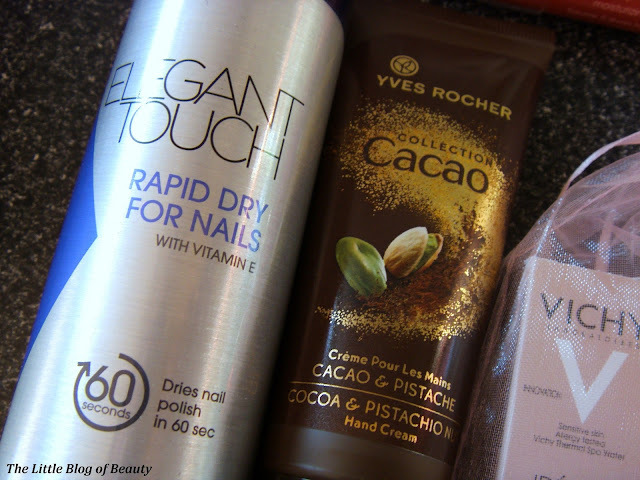 I have heard of Yves Rocher and I'm definitely up for trying any of their products. The only thing I was slightly disappointed about is that other people received cocoa and raspberry or I believe it might have been cocoa and orange, both of which I would have preferred to receive over this one, but I'm still very happy with this. This is a spray that is supposed to dry your nail varnish in 60 seconds. If you read my blog regularly you'll know I like to experiment with nail art so I'm looking forward to giving this a try to see if it does work. When doing nail art I usually use a top coat to seal the base colour before adding anything else to the nail so it will be interesting to see if I can use this instead. Although I am pleased with this last item and this does cost more than the hand cream, what I'm not keen on with Glossybox is that they advertise their boxes as containing high-end beauty samples. An Elegant Touch product is not high-end! I've noticed that other people have received Elegant Touch nail varnish remover pads that I believe are worth around £1.50. Although this is a useful product to have it's really not what you'd be expecting to receive in an apparently high-end beauty box! Despite that I have received four full size products in this months box which is good. The value of the box is around £42.60 which is also good. Despite a few slight moans this month I do really the box and will at least try everything and can see me using every product regularly. What did you get in your November Glossybox? 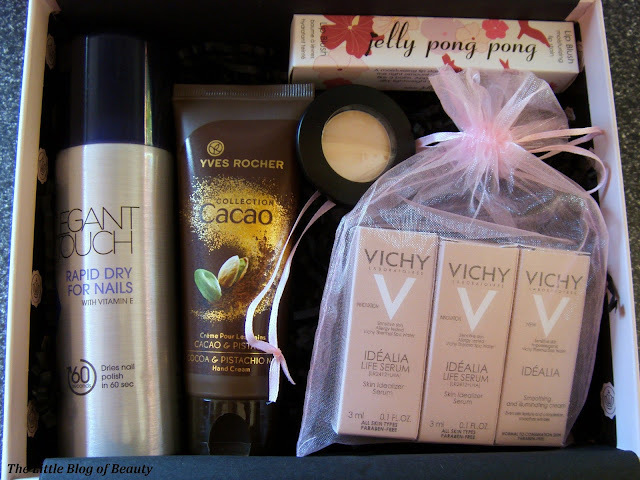 I'm so gutted that I swapped my glossybox for a love me beauty one, I love vichy! Having said thtat I'm so sick of seeing jelly pong pong in beauty boxes. I got the same except I got Elegant Touch nail varnish remover wipes & rather than the Jelly Ping Pong (which Ive received before) I got a lipstick. 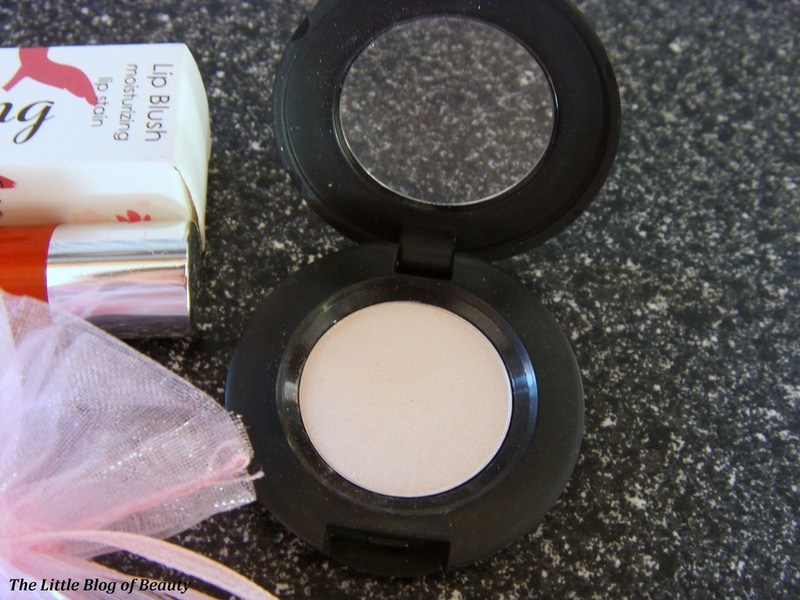 That eyeshadow looks a fab colour - love a creamy colour for base, I got a black one. 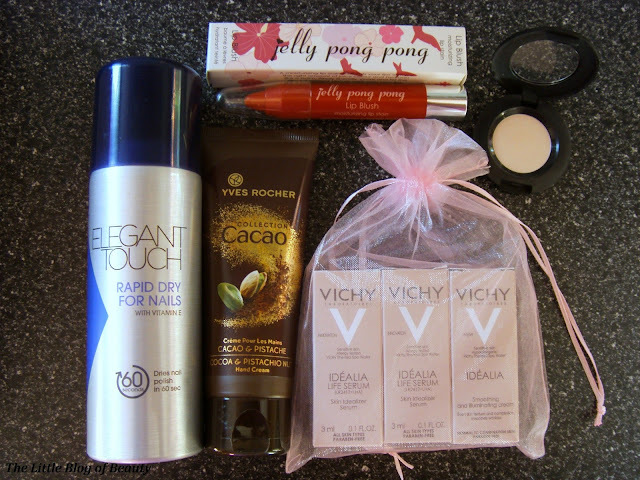 Im also debating swapping my beauty box subscription for next year - looking into alternatives at the mo! !